If you are a UF Student, Faculty or Staff Member, please Log in to Gator 1 Central to report a vending machine problem or leave a comment. 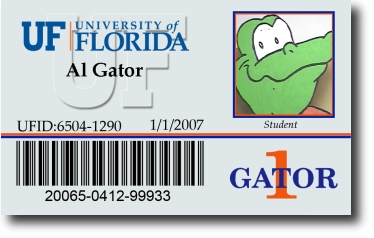 All visitors and other customers must either go to the Business Services Division office next to the Gator 1 Card office (room G072 of the UF Bookstore & Welcome Center) or call 352-392-7304 to report malfunctions and/or to request a refund. Once you enter your vending refund request online, you can receive a refund from the Business Services administration office, next door to the Gator 1 Central office at the Bookstore Welcome Center on Museum Road. For Shands Vending machine refunds, go to Morrison Cash Register at Shands Main Hospital Cafeteria. This page was last updated on 3/14/2019.